Today is a big day. Today marks one month post-chemo, and more importantly, one month until my twenty-third birthday. What are you guys getting me? Haha just kidding!!! I’d like to say that these past four weeks flew by, but they did not. I knew they wouldn’t. With my scans in just a couple weeks, that’s pretty much all I can think about, which I think slowed this whole month down. That and just pure boredom. Although the weeks have been slow, I can’t really complain. One month out and I can start to feel my body changing and gaining back it’s strength. I feel less fatigued. My constant runny nose is drying out. And, most excitingly, little baby eyebrows are starting to grow in. Aside from one mini freak out I had over my wig (I decided to try washing it on my own instead of bringing it to the ~wig experts~ and it was one of the worst decisions I have ever made), I can say that I am really, truly, happy. 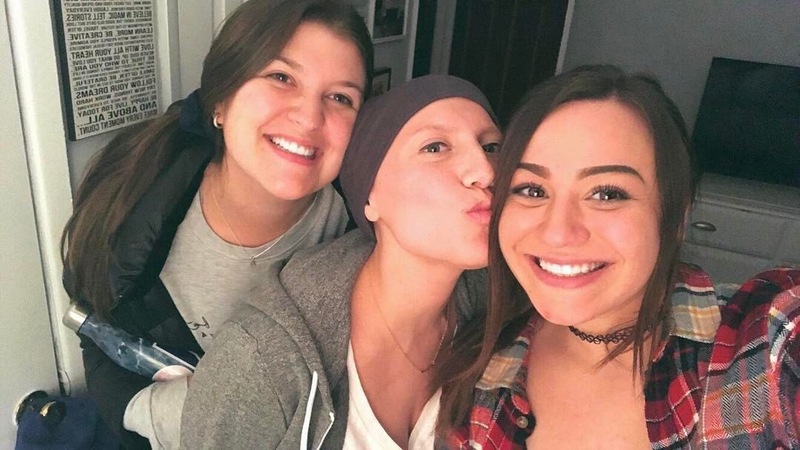 Just being able to go out and see my friends and not have to worry so much about getting sick has probably been the best part about ending chemo. That, and SUSHI. 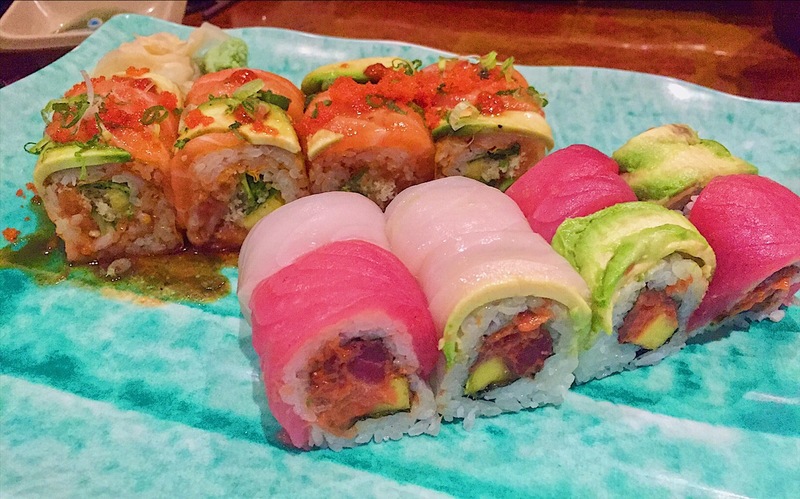 Mostly sushi. jk love my friends!!!! I am a pretty social gal, so being around people and just hanging out brings me great joy. Reintroducing the foods that I have been banned from for the past six months has also been extremely exciting. I love food. I love it. If I could marry it, I would. So eating Chinese food and salad and sushi and fruit has not only made my stomach extremely satisfied, but my mind as well. And also I am now able to enjoy eating without the crippling fear of getting sick. Never in my life have I feared anything as much as I have feared food poisoning these last couple of months. One piece of shrimp gone awry could have landed me a hospital visit. And that is just devastating – what did I ever do to shrimp?!?!?! I think what I have been most proud of is my new interest in being healthier. Not just eating better and exercising, but incorporating the whole “balancing your ~mind, body and soul~” thing into my every day life. My old balance of those three things would be to think about eating a bowl of chips, eat them, and then convince myself that they were good for my soul; that I needed them. I still eat chips, don’t get me wrong (I LUV CHIPS & DIPS), but I try to balance it with a work out, or just like at least try not eat the whole bag in one sitting. It’s all about the effort, right? A goal of mine since chemo ended has been to go into my scans the healthiest I can possibly be, and I really think I’m on my way to reaching that goal. I actually enjoy exercising, and yesterday, when I didn’t go for a run, I kind of … missed it … These are words I would NEVER imagine hearing myself say. I’m a little disgusted, but also SO proud, of myself. I can hear couch potato Katie in the back of my mind making a vomit sound and rolling her eyes. I feel you girl, I feel you. But really, my mile time is getting faster each day and I can run longer without feeling like my legs are going to fall off. I am no speed demon, but maybe now I can qualify as a runner to that doctor. I don’t feel like I need to drink an afternoon coffee to stay awake, I can drink it just cause I want to. I just feel better. Maybe cause there aren’t tumors in my chest and stuff anymore. Probably that. But also probably cause I’ve gotten over my FOMO (fear of missing out) of not working and not fulfilling all the plans I had. I’ve come to terms with it. So I can now enjoy my life of boredom without feeling guilty or like a failure. I’m comfortable in my body, something that has been a bit of a struggle since the whole hair thing. I actually really prefer wearing a head scarf to the wig these days. My scalp feels like it’s going to burn off whenever I put the wig on and it’s itchy. Plus it’s all janky from when I tried to wash it and the “special” wig shampoo smells weird. Never been so thankful for the bandana trend because they are IN this season and it’s made finding scarves so easy. Thanks, fashion gods!!!!!!!!! I’m one month out of chemo and getting closer to my final scans every day. It’s been a cool month. I have the sunshine in Florida to look forward to (Stephanie and Dr. Roth if you’re reading this, I am stocking up on SPF 100 and a big ‘ol sun hat, DON’T WORRY) and the month of April just seems like it’s gonna be a great one. I’m feeling like a champ.